One’s planed a trip with lots of dream in eyes and wants to complete them in remarkable way. Most of the traveler enthusiasts compare Pune with Chameleon as the city changes its colour every day. It is the perfect mixture of ideas and culture. No doubt, all over the country, this city is famous as Major IT hub though it includes lush greenery and hill stations. Lavasa is the best place that can be explore by hiring Bike on Rent in Pune. It is one of the tourist destinations for nature-lovers as calm environment and charming beauty attract them. If you really want to enjoy the rich history and contemporary culture hire Bike in Pune from Stonehead Bikes. We present the finest bike rental services in Pune at very affordable prices. Travelers visit Pune for some fun-loving and exciting activities. This is considered as best place for outing spots. While the people heard about this city, ultimately adventurous images strike in mind. Thus, we offer the option of self-ride so that you can go where you want without caring about jam-packed roads. We include the wide ranges of finest-models bikes. Now there is no need to waste energy and precious time waiting for public transport. Hire Bullet on Rent in Pune and choose freedom of convenience, mobility, and independence. Drop the plan to invest a fortune in making the purchase, just go and enjoy the rides using premium-quality Bike Rental in Pune. 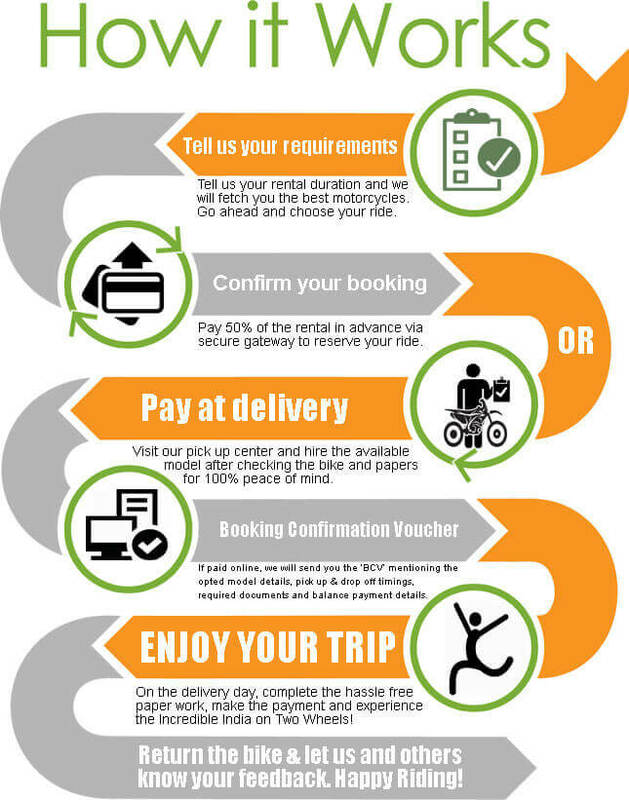 What is our aim and motto behind offering Bike rental services in Pune? Just go to our website and choose your location, trip date and two-wheeler model of your choice. You’ll get the complete details of bikes.